The Busan International Film Festival (BIFF) was inaugurated on September, 13 1996 in the South Korean city of Busan. BIFF was successful from the very beginning but it has also rapidly expanded to become “the leading festival in Asia” (Davis and Yeh 147). Not only has the festival maintained its high level of attendance at around 200,000 cinema visits, it has also greatly increased the number of films shown from 170 in 1996 to a record 355 in 2009. To this extent the South Korean festival has become the major player in the field of East Asian film festivals, overshadowing Shanghai and Tokyo, and rivaling (some say even surpassing) the much-loved veteran Hong Kong International Film Festival (HKIFF) (Iordanova 4). One of the main reasons behind BIFF’ s rapid rise to prominence has to do with “the opportune political timing” of its inception (Iordanova 6). Indeed, the success of BIFF cannot really be understood without some sense of the crises effecting HKIFF. BIFF launched at a time when the Hong Kong film industry was dominated by anxiety that the scheduled 1997 handover to China would result in repression and censorship. In the period immediately before the handover HKIFF’s directors endeavoured to wrest the festival from the control of a Hong Kong government considered too keen to placate mainland China’s insistence on their right to censor (Teo 113-4). In 2002, after a long struggle, HKIFF achieved independence but at the cost of an increased corporatisation. Since 2005, the festival has been managed by The Hong Kong International Film Festival Society Limited. This privatised corporate structure allows HKIFF to “maintain [its] production standard […] while shedding unnecessary bureaucracy and complicated administrative procedures” (Cheung “Corporatising a Film Festival” 101). However, the festival is now “modelled on that of profit-making commercial enterprises” and this has resulted in a transformation of HKIFF “from a high-art event to a populist event led primarily by […] all sorts of promotional events” (Cheung “Corporatising a Film Festival” 101, 109). What is more, although the festival still receives 30 per cent of its budget from a government body–the Hong Kong Arts Development Council–HKIFF is now dependent on commercial sponsorship to cover its costs. Compared to HKIFF, BIFF relies on “the strength and determination of institutional and governmental support and funding” (Teo 118). Financed by Busan’s Municipal Authorities, the Korean Ministry of Culture, Sports and Tourism, as well as the Korean Film Council, BIFF has benefited from a political stability that allows “the festival to avoid entering into complex budgetary arrangement with sporadic funders and sponsors who may not be committed over the long term” (Iordanova 6). Yet, although the active involvement of local and state government ensures constancy and solidity, BIFF still also benefits from the financial endorsement of private companies, local banks and universities. This public-private partnership has proved extremely effective in terms of budget: BIFF’s financial resources in 2010 were $8.5m compared to HKIFF’s 2009 budget at $4m (Iordanova 29). The commitment by South Korea’s state authorities to enhancing the status of the festival is part of the government’s strategy “to uphold the screen industry as an ongoing business” (Davis and Yeh 3). This proactive policy may be read as a move to exploit “the unprecedented ‘Korean wave’ of films [and] TV dramas” that swept through East Asia towards the end of the 1990s (Teo 115). The resurgence of this cinema signalled South Korea’s attempt to counterbalance the much-feared Americanisation of audience taste, its desire to celebrate the specific culture of the nation, and its commitment to critically engage with social and political issues concerning the partition of Korea. The government’s support of the film industry is also part of a wider attempt to respond to the challenges of global capitalism. According to many scholars, the response of East Asian countries to the pressure of globalization has been that of opening up their markets but “in a way that ‘re-centers’ the channels of distribution to benefit first and foremost the mutuality of Japan, South Korea and Mainland China” (Iordanova 16). This “re-centering” strategy allows Asian players to exploit new market frontiers by entering a variety of “intra-Asian cultural exchanges and targeting Asian consumers” (Iordanova 16). The understanding of the strength of Asian markets has triggered a new found sense of empowerment and self-sufficiency based on the lucrative potential that lies underneath the co-operation within the East Asian region. As Davis and Yeh argue, this process of regionalization enables a “new localism [that] revives interest in servicing locals and regional audiences by area […]. Rather than outdoing Hollywood, [it] tightens its prior rapport with East Asian tastes” (39). To this extent, BIFF functions as a site for transnational exchange and profit but also as a space for the promotion of local genres and sensitivities. BIFF is strongly committed to Korean cinema and celebrates it in three different sections of the festival: “Korean Panorama”, “Korean Vision” and “Korean Cinema Retrospective”. Whereas the latter is focused on the cinematic history of the country, the first two sections are devoted to contemporary trends and give credit to many Korean New Wave directors such as Kwak Kyung-taek, Hur Jin-ho, Park Ki-yong, Yoon Jong-chan and the internationally acclaimed Kim Ki-duk, whose popularity was reflected by BIFF’s decision to make him, in 2001, the only filmmaker who had two films – Nabbeun Namja/Bad Guy (2001) and Suchwiin bulmyeong/Address Unknown (2001) – invited to “Korean Panorama”. However, as the festival’s slogan “a window on Asian cinema” clearly suggests, BIFF also relies on a cultivation of Asian cinema more generally. “New Currents” is the only international competition of the festival and is dedicated to feature films by first or second time directors from Asian countries. Here one finds talents from Japan, China and South Korea but also, for example, Thailand, Kazakhstan and Iran. In 2003 the Iranian productions Danehaye rize barf/Tiny Snowflakes (Alireza Amini, 2003) and Nafas-e amigh/Deep Breath (Parviz Shahbazi, 2003) were awarded, respectively, the New Currents prize and the International Critics’ Selection prize. This expansive international approach serves to attract maximum publicity within and beyond the Asian region and gain recognition amongst the better-established circuit of western film festivals. In support of this approach, great importance is given to international critics and journalists for whom the BIFF every year reserves 5,000 fully funded places (in contrast to the 90 funded places provided for foreign journalists by HKIFF). As a result, BIFF benefits from the commitment to East Asian cinema of people employed by trade publications, including Patrick Frater (Variety), Liz Shackleton (Screen International) and Darcy Paquet (Hollywood Reporter). 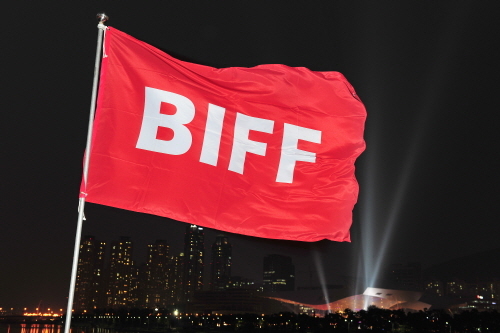 Because of the large number of Asian films it screens every year, BIFF is also a first choice for those involved with programming Asian cinema in other parts of the world. The festival is attended by the promoters of the Rotterdam International Film Festival and the Far East Fest in Udine, Italy. What is more, the increasing success and popularity of both BIFF and East Asian cinema have been noticed and appreciated by other “A-list festivals” (Nornes 37). For example, films originally promoted by BIFF, including Dayereh/The Circle (Jafar Panahi, 2000) and Shiqi sui de dan che/Beijing Bicycle (Xiaoshuai Wang, 2001) were awarded, respectively, the Golden Lion at the Venice Film Festival in 2000, and the Jury Grand Prix as well as the New Talent Award at the 2001 Berlin International Film Festival. To this extent, if it is true that western festivals may generally be considered to be the key “intermediaries between Asian cinema and the rest of the world” (Iordanova 3), it is also true that an Asian festival such as BIFF plays a central role in this process of internationalization by being a crucial site for making available for “discovery” non-Western talents and trends. BIFF’s mission is closely aligned with the interests of Busan’s local government. In 2009, for example, Fiona Wilson wrote an article for Monocle magazine that highlighted the monumental proportions and expressly multicultural character of this South Korean city describing it “as a regional trade and transport centre” (qtd. in Iordanova 19). Alongside numerous projects concerning the renovation and improvement of the city–such as the creation of a new industrial zone, a new airport and a financial district–the local government plans to turn “Busan [into] the centre of the Korean film industry” (Wilson qtd. in Iordanova 19). To this extent, the film industry is an important facet of the city’s master plan and BIFF perfectly fits into Busan’s ambition to seek global visibility and attract significant commercial investment. Like many of the most successful film festivals, BIFF has “moved beyond [its] traditional role as gatekeeper […] of the art cinema and ventured onto a new international field of transactions in film co-production, investment [and] promotion” (Davis and Yeh 140). For instance, the important role it plays in launching new film productions is underlined by its platform for work-in-progress, the Pusan Promotional Plan (PPP). Started in 1998, each year PPP “selects around twenty-five projects and arranges hundreds of one-to-one meetings between film-makers and their potential investors, and co-producers” (Davis and Yeh 148). Additionally, it also offers several monetary awards of $100,000 to Asian filmmakers seeking to develop projects. Successful PPP projects include Oasen/Oasis (Lee Chang-dong, 2002), Dastaneh natamam/Story Undone (Hassan Yektapanah, 2004) and Yeojaneun namjaui miraeda/Woman Is the Future of Man (Hong Sang-soo, 2004). What is more, in 2006, seeing the success of Hong Kong FILMART, PPP developed a film marketplace–the Asian Film Market (AFM)–that serves “all aspect of film business [ranging from] sales offices, market screenings, buyer services, production and co-production services […to] financing tools and events” (Davis and Yeh 149). To this extent, providing as it does an effective combination of quality programming and networking opportunities, Busan demonstrates its aspiration “to be a one-stop shopping destination for anyone seeking business in the East Asian screen trade” (Davis and Yeh 149). PPP and the AFM help “highlight the film festival’s self accredited […] Asian identity” by fostering and promoting Asian cinema (Cheung “East Asian Film Festivals” 49). Subsequently they contribute to the setting of the festival as the prominent Asian forum not only within but also beyond the region. Indeed, the strategic positioning of the festival in early October “offer[s] a change of scenery for film executives who have been hopping across the Atlantic since mid-year” presenting itself as a warm-up opportunity “for film professionals who are interested in, but would not want to close deals before the American Film Market (November)” (Cheung “East Asian Film Festivals” 55). Put simply, BIFF is now an essential site for the promotion of the South Korean film industry as well as a significant center for co-operation, co-ordination and dialogue within the Asian region. The festival reflects the international standing of its host city and country but also the tendency of the Asian market towards regionalization. The intrinsic international character of the festival, in turn, has also linked BIFF to its western counterparts. Yet “as far as the global film market circuit is concerned, although […] AFM may be [together with FILMART, one of] the primary markets within the region, [it] often ends up in subordinate and facilitating roles” when faced with the much larger and well established Western markets (Cheung “East Asian Film Festivals” 56). To this extent, the future of the festival will depend not only on the financial support it receives from both public and private sector or on the success of its films but also, as Cheung suggests, on the success of its “international policies, […] its adoption of flexible operation models and […] its smart positioning among the major global industry players” (“East Asian Film Festivals” 56). Davis, Darrell William, and Emilie Yueh-yu Yeh. East Asian Screen Industries. London: BFI, 2008. Print. Cheung, Ruby. “East Asian Film Festivals: Film Markets.” Iordanova and Cheung 40-61. —. “Corporatising a Film Festival: Hong Kong.” Film Festival Year Book 1: The Festival Circuit. eds. Dina Iordanova and Ragan Rhyne. St. Andrews: St. Andrews Film Studies, 2009. 99-115. Print. Iordanova, Dina. “East Asia and Film Festivals: Transnational Clusters for Creativity and Commerce.” Iordanova and Cheung 1-33. Iordanova, Dina, and Cheung, Ruby. Eds. Film Festival Year Book 3: Film Festivals and East Asia. St. Andrews: St. Andrews Film Studies, 2011. Print. Nornes, Abé Mark. “Asian Film Festivals, Translation and the International Film Festival Short Circuit.” Iordanova and Cheung 37-39. Teo, Stephen. “Asian Film Festivals and Their Diminishing Glitter Domes: An Appraisal of PIFF, SIFF and HKIFF.” Dekalog 3: on Film Festivals. Ed. Richard Porton. London: Wallflower Press, 2009. 109-21. Print. Vick, Tom. “Washington, Pusan, Rotterdam, Udine and Back: Programming East Asian Films for American Audiences.” Iordanova and Cheung 90-98.